Last week, I took an unauthorized Knit-cation. 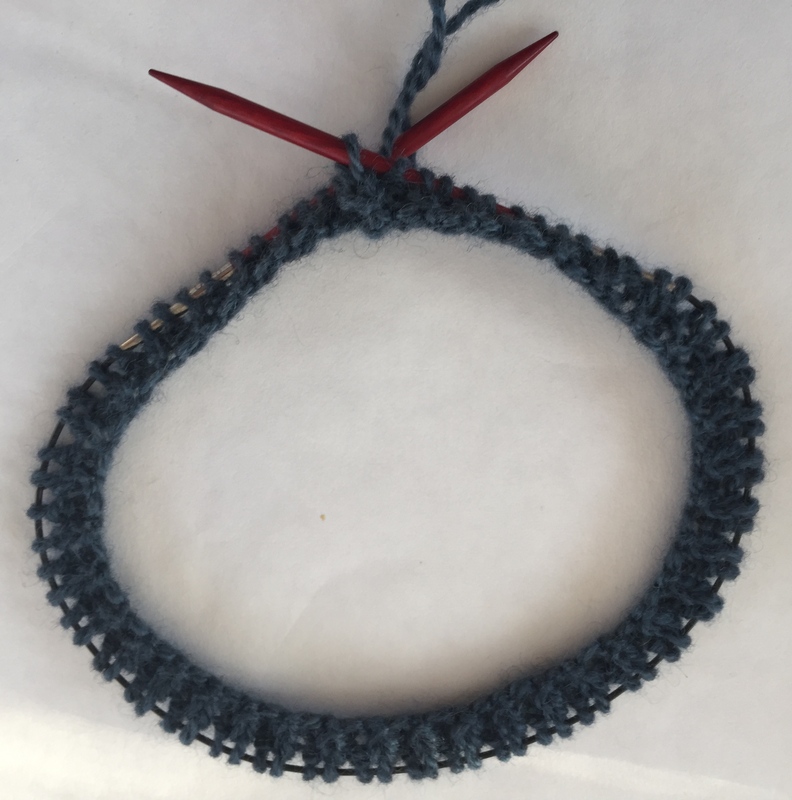 I am not sure exactly what happened, but on Sunday, I tallied up my making hours for the week, and they were all about knitting. I spent almost 60 hours clicking needles, watching U-Tube videos, and cruising Raverly. There were a couple of days when my children complained about the food choices in our refrigerator, but I really think they are old enough to fend for themselves in the kitchen. I just want to understand and execute a top down knit sweater. The language is so exotic and hyper abbreviated. It’s a fiber patois. And I can’t seem to stop turning it around in my head. 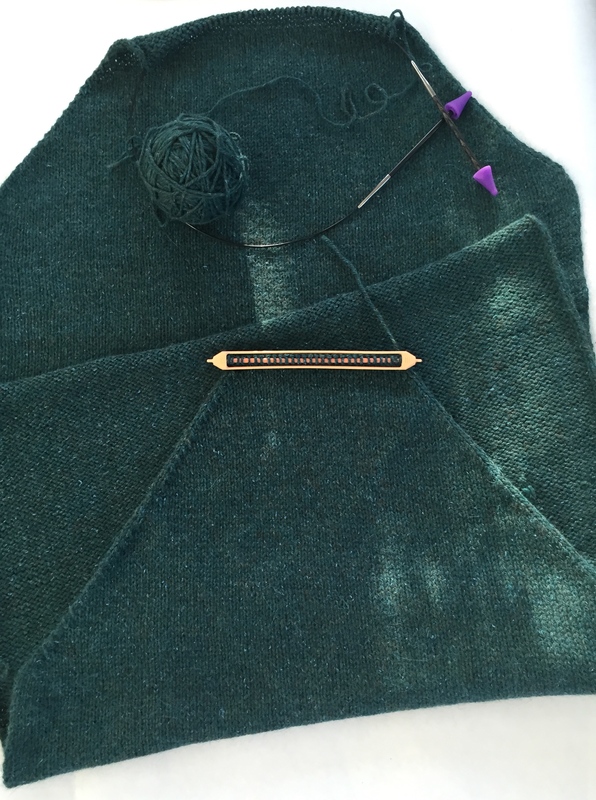 Project number one is a “worked flat” sweater that I will stitch together when I am done. 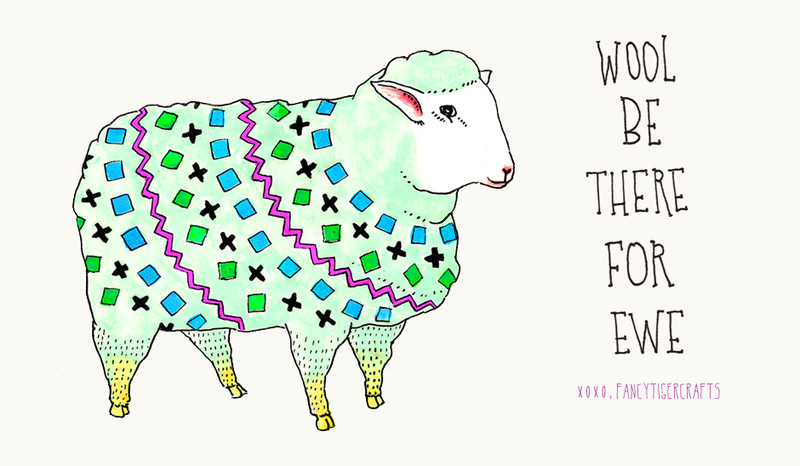 It turns out that REAL knitters hate this sort of thing because it involves sewing! I have finished the back, and I am up to my neck on the front of this sweater. 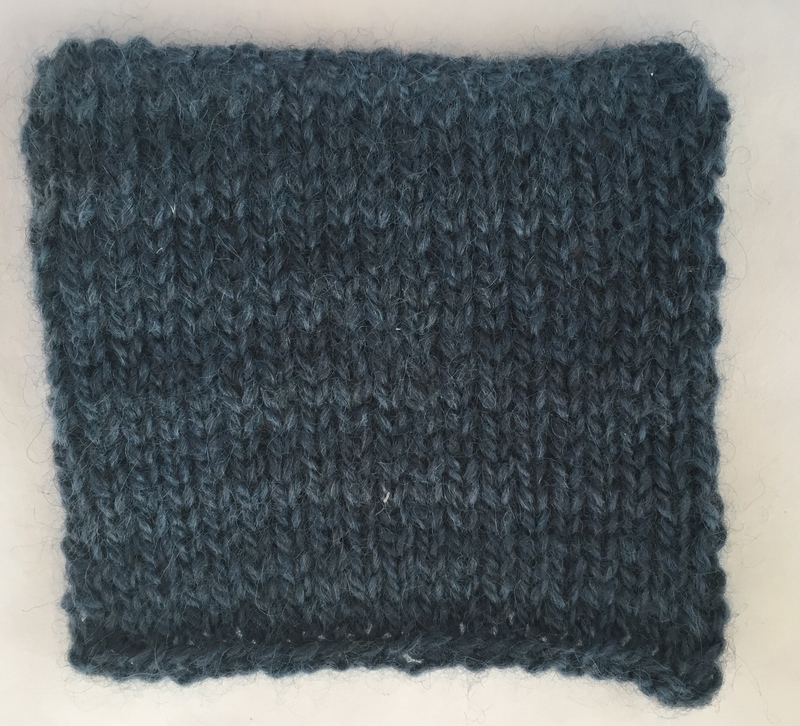 My mindless–knit, purl, knit, purl–poncho is slowly growing. I’m at 10 inches—just 40 more inches until I can knit the cowl part of poncho. 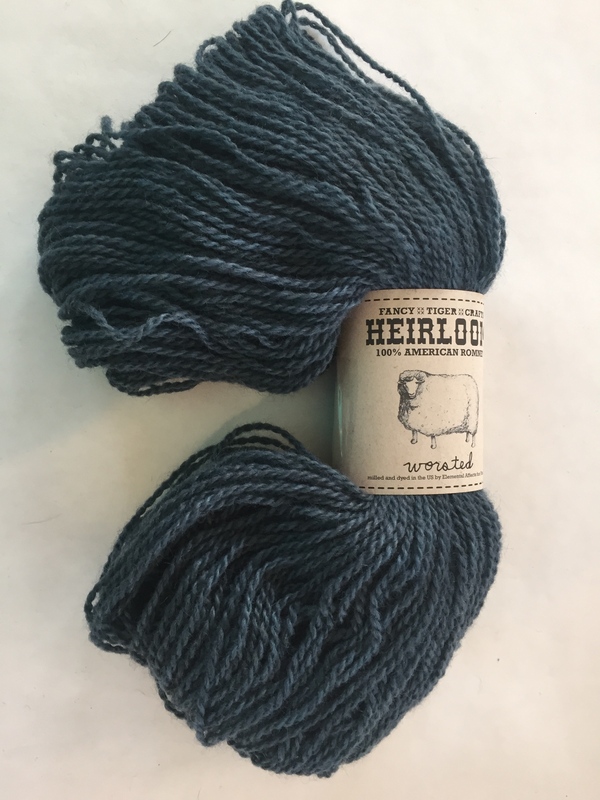 This yarn–Cascade Yarns Alpaca Lana D’Oro–is fabulous. Neither of these fine projects really solve the top down knit sweater problem. I searched and I searched. Here’s my library on Raverly. I cannot remember what life was like before I found this website. It is all consuming. And this pattern from Fancy Tiger Crafts. I love them and their blog. 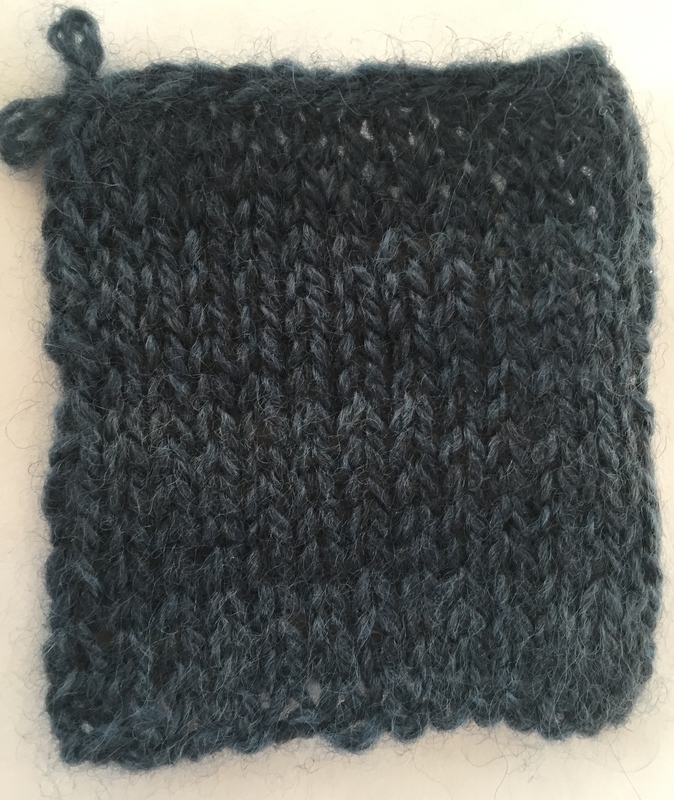 I knit a swatch which I did not like and was not the right gauge. It’s too loose in an ugly way. So I knit it again. I like this a lot, but it is probably going to involve some sort of unorthodox method of improvising on the stitches that I really shouldn’t talk about in public. My mail box has been full of government documents lately. I thought I might call this THE GOOD, THE BAD, and THE UGLY, but that’s not the reality. THE REALITY. 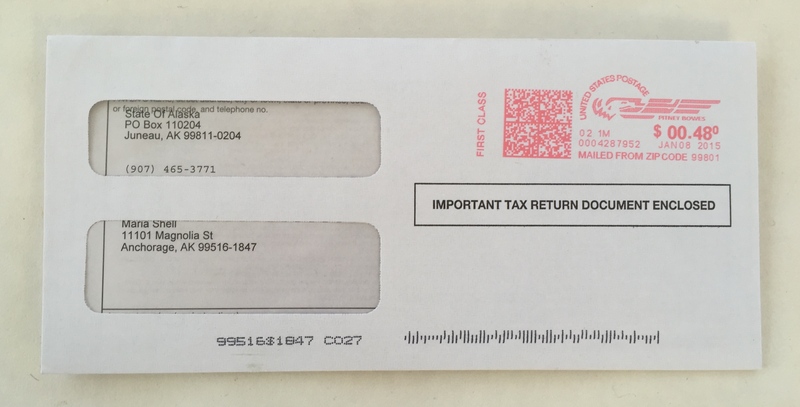 It’s tax time, and as an artist I Iike to see these documents. It means I actually made money making art. 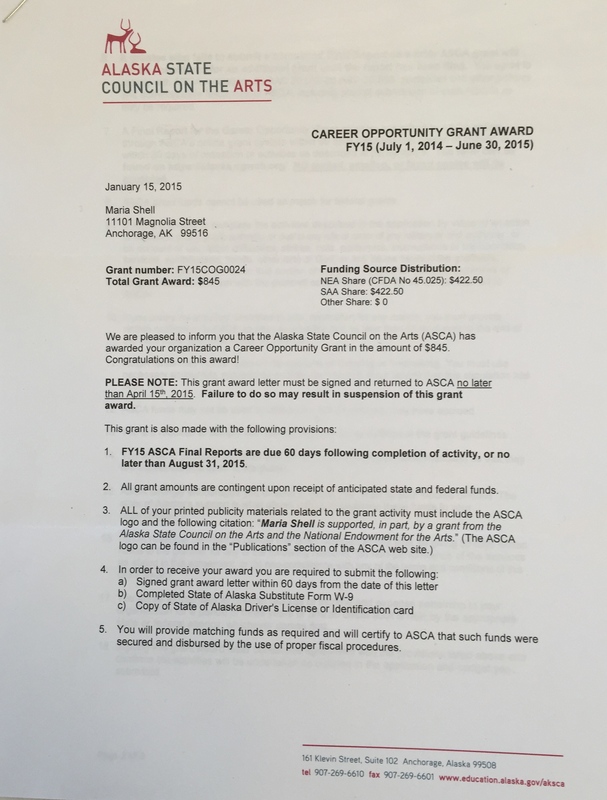 This letter documents the sale of Berry Picking to the Alaska Art Bank this year. And THE DUTY. I got called for jury duty while in Charlotte, North Carolina at the McColl Center for Art + Innovation artist residency . I postponed the obligation until this week. My number wasn’t called today, but who knows about the rest of the week. THE GOOD is that I can knit while fulfilling my civic obligation to my community. And that is the seriously amazing thing about all this knitting. All my life, I have felt naked without a sewing machine and now to have finally embraced a form of stitching that actually travels feels fantastic. Why did this take me so long to figure out? 02 Feb	This entry was published on February 2, 2015 at 4:42 PM. It’s filed under Image Journals and tagged ASCA, knitting, Quilt National, week in photos. Bookmark the permalink. Follow any comments here with the RSS feed for this post. Wow, lots of good news! Quilt National is fantastic! I wish I could attend. I’m on ravelry. Look for me as stitchinghands. I can give you lots of tips for top down sweaters since that’s my favorite! Thank you Pam. I love Purl Bee. They have really nice free patterns which is always a bonus in my book. Many congrats to you, you deserve it! 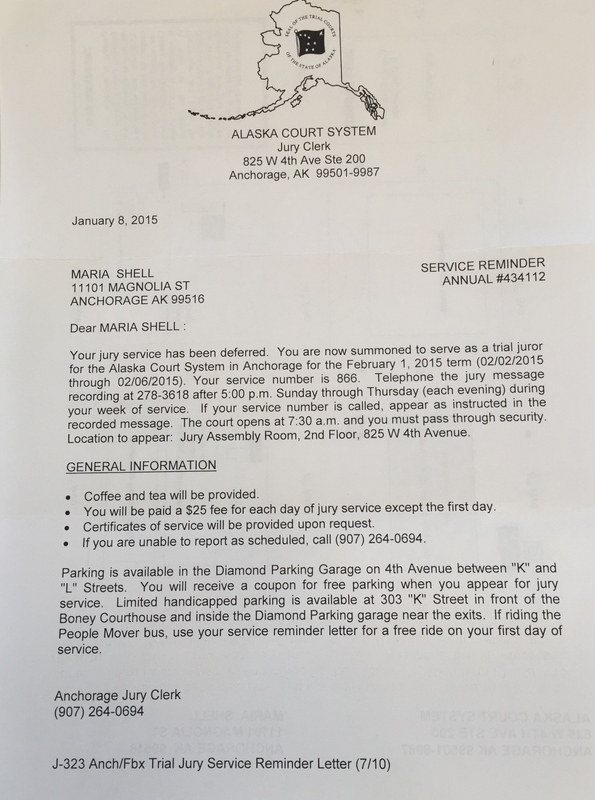 Regarding jury duty, I was selected for a jury in December, 2014. It was a very interesting and worthwhile experience. Thank you Justine! So far my number still hasn’t come up…. Congratulations on Quilt National! And glad to see you’ve discovered knitting. I like top down sweaters because you can put them on to see how they fit early in the knitting, and adjust the size of the sleeve openings and lengths of the sleeves as you go. I’ve knit several of Isabel Kraemer’s top down patterns and like wearing them. (Grasflecken is her blog.) But you need to look at how wide her neck openings are on her patterns; it took a while for me to like them, and I’ve adjusted one to a more traditional neck. I’m knitting a Brooklyn Tweed pattern now, and I like it because it is so well written, even though it’s bottom up. Haven’t looked yet for a top down pattern from them yet. Knitting is great for long car trips. Connie- Thank you for the great knitting tips!It’s a whole new world for me and I am a bit overwhelmed but enjoying the journey. I just so like know everything immediately. 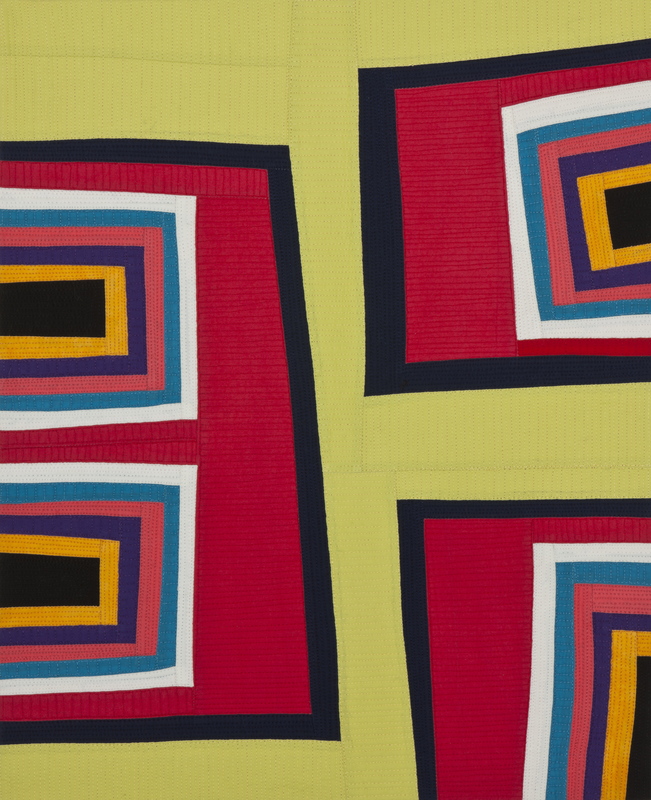 Maria, Double congrats on Quilt National and the plane ticket! I am going to be there that weekend as well so we will have the catch up. Looking forward to seeing you then. Carol- Congrats to you too. We will celebrate in Athens! Doubt your quilt national selection. I doubt you will be able to bring your knitting needles on the plane or into the courtroom. They can be lethal–bummer. Most of my gauge, especially for the sleeves that would fit an oranguatang are too long or maybe I have short arms? Keep stitching, lots to learn and I sometimes wonder if the price in time and results are worth it but fun trying to compete with Chinese labor rates. Congrats on your quilt national selection. I doubt you will be able to bring your knitting needles on the plane or into the courtroom. They can be lethal–bummer. Most of my gauge, especially for the sleeves that would fit an orangutang are too long or maybe I have short arms? Keep stitching, lots to learn. I sometimes wonder if the price in time and cost of yarn these days and the results are worth it but fun trying to compete with Chinese labor rates. 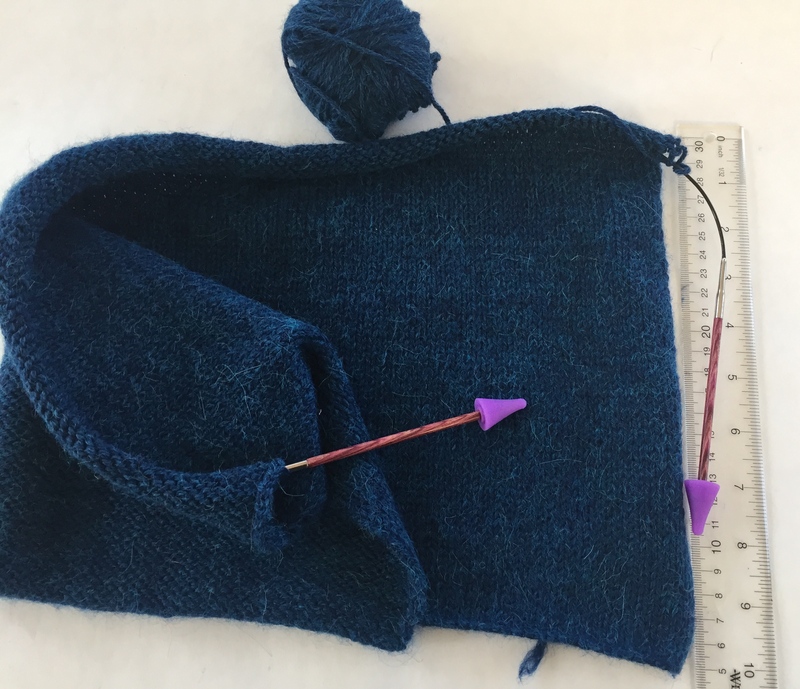 Carole- I researched it online and asked at the yarn store–you can bring your needles on the plane. Most say that the smaller the project and the needles the better, and that your scissors must be small. I can handle that. I know that I may well end up with something that doesn’t fit me or anyone else I know. The joy is in the trying. Thanks for stopping by Aunt Carole! I just discovered your blog a couple weeks ago, after seeing one of your color grids on another blog. I think I have a quilt crush on you. Forgive me, it’s totally platonic and I’m not stalking, but I’m so enjoying reading your blog entries and seeing all your work. It is fabulous and I’m inspired! All US flights allow knitting needles (even tiny sharp double-pointed ones), although final say is with the TSA agent. I’ve never had them confiscated in the last 10 years of knitting & flying. You should be fine. Scissors are more dicey. I just bring a pair of nail clippers and avoid the subject. 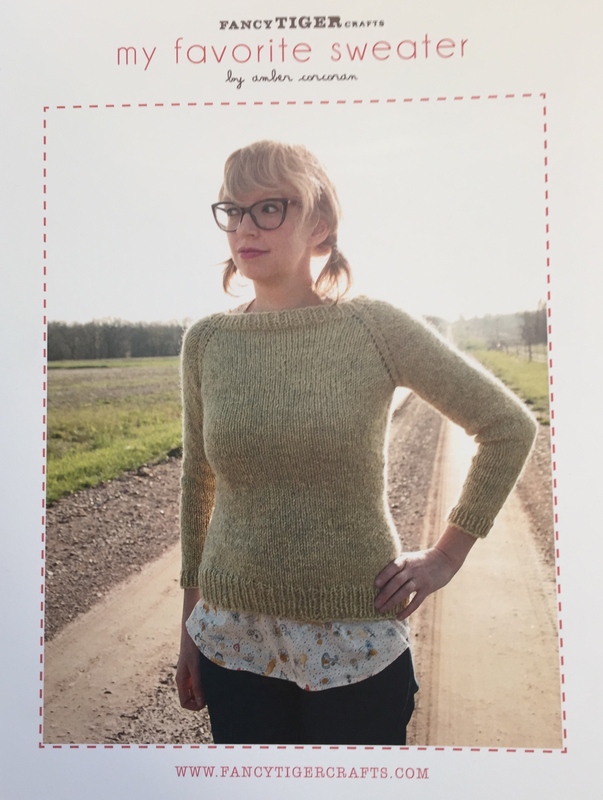 If you want a good explain-the-process book for top-down sweater knitting, “Knitting from the Top” by Barbara Walker is an excellent resource. 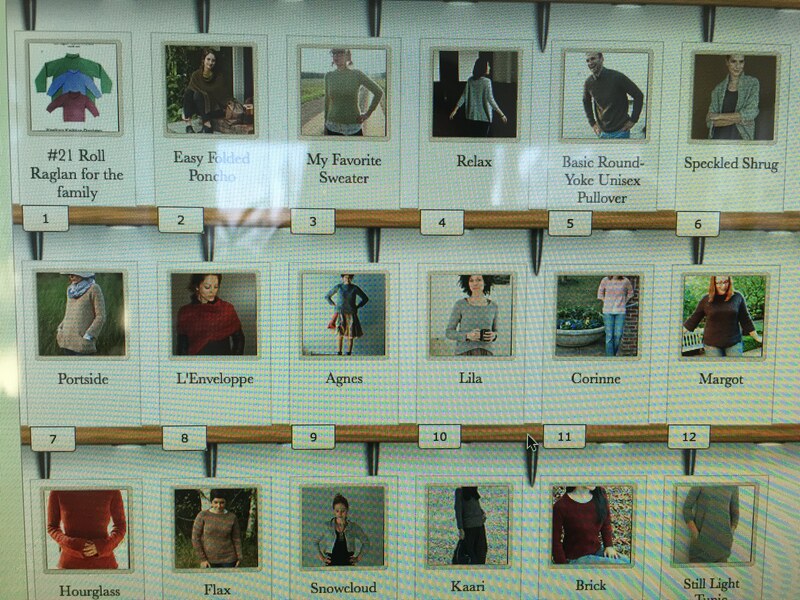 I also learned a ton from Maggie Righetti’s books, “Knitting in Plain English” and “Sweater Design in Plain English”. She actually explains all the terminology and why you cast on extra stitches where you do and all of that. Carrie- I am glad you are here! It validates me and that always feels good. Thank you so much for the book advice. I have been meaning to get a copy of Barbara Walker’s book “Knitting from the Top” but I had not heard of the others. I”m going to look them up right now. PS. The clipper idea is GREAT.